After the demonstrations in Iran, caused by a sharp rise in the inflation of the national currency, it seems that the Atlantic felt the "taste of blood". The administration of President Donald Trump since the US withdrawal from the nuclear deal is trying to convince Europe, China and Russia that Iran is the main evil in the world. After the demonstrations in Iran, caused by a sharp rise in the inflation of the national currency, it seems that the Atlantic felt the "taste of blood". 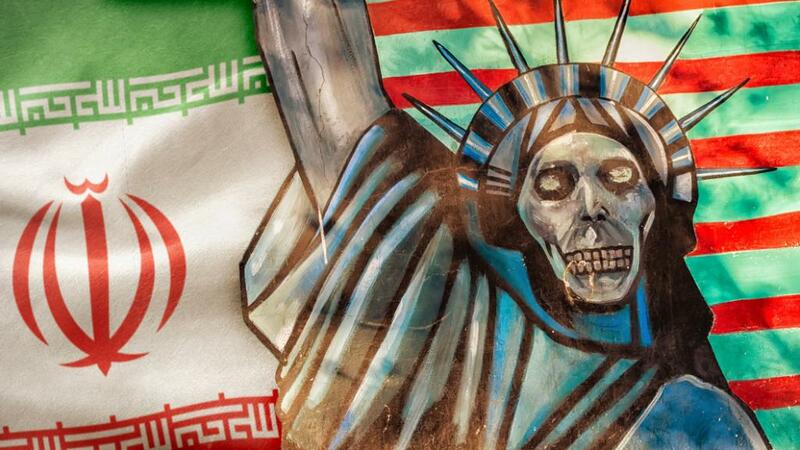 The administration of President Donald Trump since the US withdrawal from the nuclear deal is trying to convince Europe, China and Russia thatIran is the main evil in the world. It is alleged that Tehran, in violation of the treaty of 2015, is secretly developing nuclear weapons. If so, why, in fact, should sanctions be lifted from it? But such a "cheap" argument from Washington did not impress any of the serious players, except Israel and Saudi Arabia, ready to hang all the sins of the world on Iran. Beijing, Brussels and Moscow are repeating the mantra that Iran is under IAEA control and observes the terms of the nuclear deal. The second argument that is clinging to the White House is that Iran behaves like a "bandit" in the Middle East, interfering in the internal affairs of Syria, Yemen, Lebanon and Iraq. It is clear that if in the main issue - the development of banned weapons - Washington could not pull the EU, China and especially Russia to its side, then in the issue of "Iran's threat to the region" it is even more difficult, but not impossible. On May 21, US Secretary of State Michael Pompeo promised that sanctions against Iran would be imposed unprecedented in its power. Packages destructive for the Iranian economy are expected in August and November. Earlier, as a warning, Washington blacklisted the head of the Central Bank of Iran. Tehran, in turn, sued the International Court of Justice because of the freezing of Iranian assets in the United States. Speaking in New York, Jonathan Cohen called on other members of the Security Council to punish the Islamic Republic for violating resolutions on "arms shipments." That is, to impose sanctions against Tehran. The US needs the support of Europe, China and Russia, otherwise they will not be able to "strangle" Iran. To the tug of "allies" on their side, the White House will be approached very subtly. The most banal, but ineffective way - the belief in the community of interests. Although France and Britain share the opinion of the United States that Iran is expanding its influence in Syria and Yemen. Paris and London as former colonialists have historical interests in acting here on the side of Washington. There is also a more straightforward tactic - the threat of sanctions against those companies that will invest in the Iranian economy. French concerns Total and Peugeot have already turned their assets there. Yesterday, the State Department threatened to sanction any country that intends to import oil from Iran. It is not excluded that under this pressure the EU will also back down. duties on Chinese goods worth $ 50 billion The United States threatens to impose restrictions on imports of cars from the EU and increase tariffs on goods from China to $ 200 billion. Carte blanche for the return of Iran to the world isolation will also be needed from Russia. Recently, during a visit to the US by the Minister of Energy Alexander Novak, the CNBC channel wrote that the Americans are seeking to increase oil production by Russia in order to oust Iranian exports from world markets. In exchange, the allegedly White House will go to loosen anti-Russian sanctions. Iran is Russia's most important and strategic partner in Syria, the link in the North-South transport project between Moscow and New Delhi. The destabilization of Iran threatens the security of the South Caucasus - a zone of geopolitical interests of Russia. Therefore, it is naive to expect that Moscow will "betray" Tehran, as well as the fact that Trump, at a meeting with Putin, will not offer to do so. Either way, the Trump administration, unable to "suppress" Iran with uneasy or direct military action, will continue to economically choke this strong Shiite power with a thousand-year history. Because of this pressure, the Iranian Central Bank has already had to devalue the national currency, which caused demonstrations in the cities of Kerej, Mashhad, Bandar Abbas and on the island of Keshm. Economists predict that further sanctions will negatively affect Iran's GDP growth rates. By increasing economic pressure, the US expects to undermine the material capabilities of the Iranian regime, that a) it will stop the influence of Iran in the region and b) undermine the legitimacy of the Iranian authorities.